Answers to all five Cinnabar Island Gym Pokemon Quiz questions in Pokemon: Let's Go. When players attempt to challenge Blaine at the Cinnabar Island Gym, they find that they need to answer five different questions first in Pokemon: Let’s Go. If you get a question wrong, you’re forced to face one of Blaine’s students. If you get a question right, you get a Blaine Doll and one step closer to facing Blaine. Uninterested in fighting through Blaine’s students? We’ve got you covered! Below, we’ve put together a quick guide featuring all of Blaine’s gym answers in Pokemon: Let’s Go! 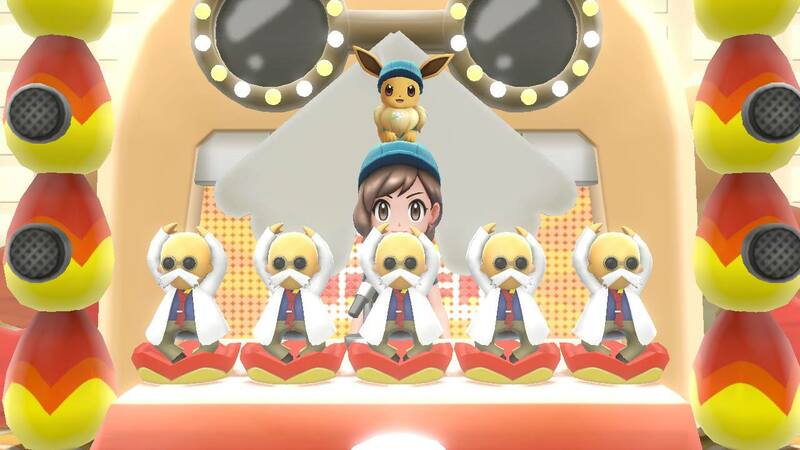 In Pokemon: Let’s Go, Blaine is the seventh Gym Leader you need to face. You can find Blaine on Cinnabar Island on Route 21 which runs from Fuchsia City to Pallet Town. Note that you’ll need to learn a Secret Technique called Sea Skim from the man with a Lapras outside the GO Park Complex in order to travel over water. When you arrive on Cinnabar, you’ll find that you can’t access the gym immediately. Instead, you’ll need to explore an old, crumbling mansion in search of a Secret Key. 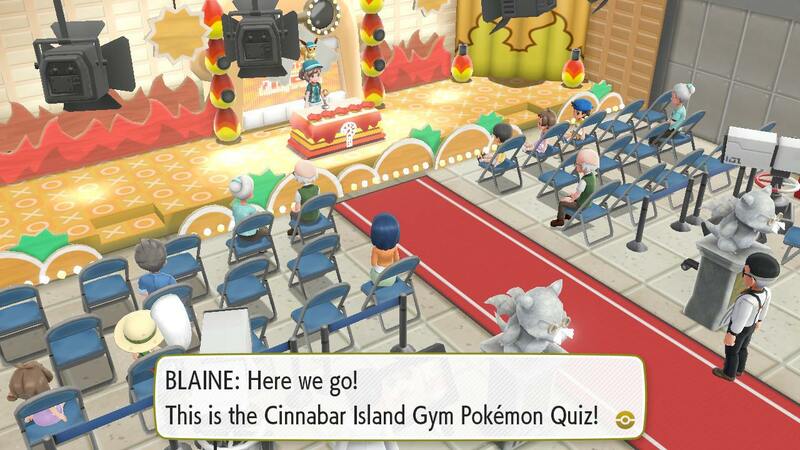 Upon finding the key, you can head over to the Cinnabar Gym where you’re greeted by Blaine and his Cinnabar Island Gym Pokemon Quiz. As stated above, there are five questions in this quiz with the last question being something of a freebie. Below, you’ll find the answers to all five of Blaine’s gym questions! 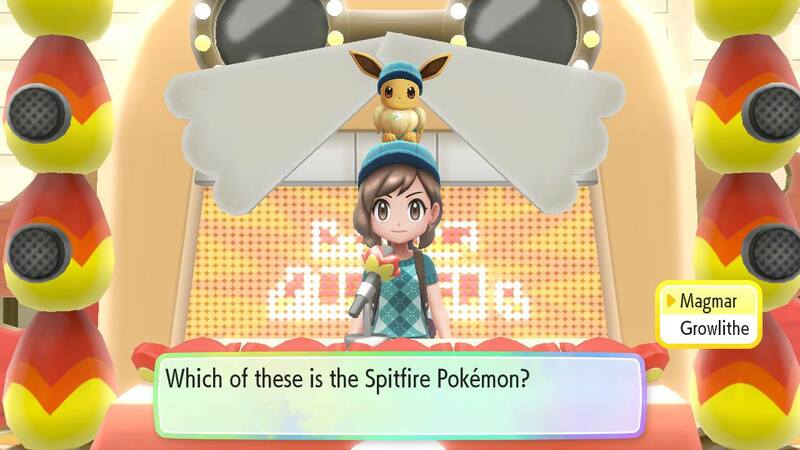 Question #1: What is the name of the Spitfire Pokemon? 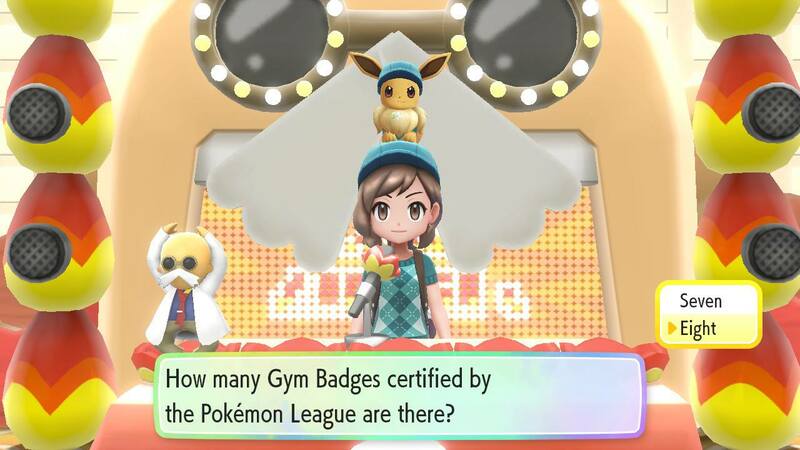 Question #2: How many Gym Badges are there in total? 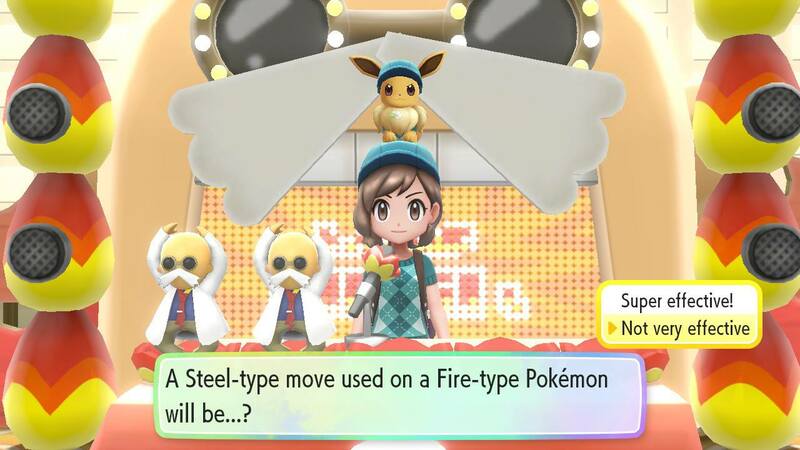 Question #3: How effective are Steel type moves against Fire type Pokemon? 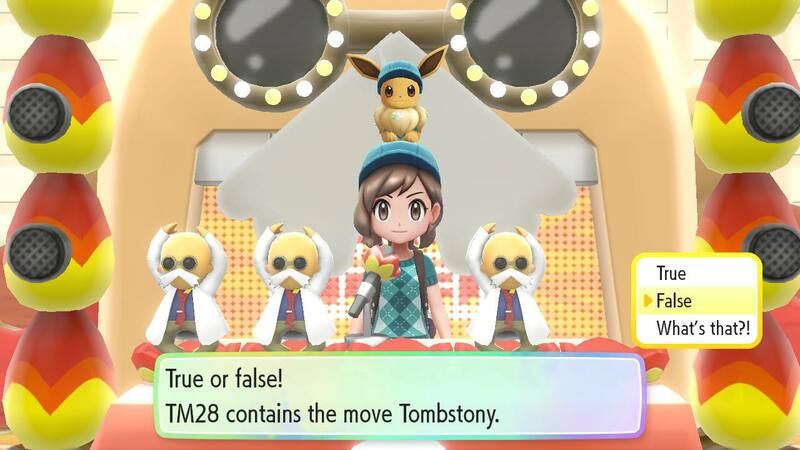 Question #4: TM28 contains Tombstony? Question #5: Who is the person you’re about to challenge? With the Cinnabar Island Gym Pokemon Quiz completed, you can proceed to face Blaine. 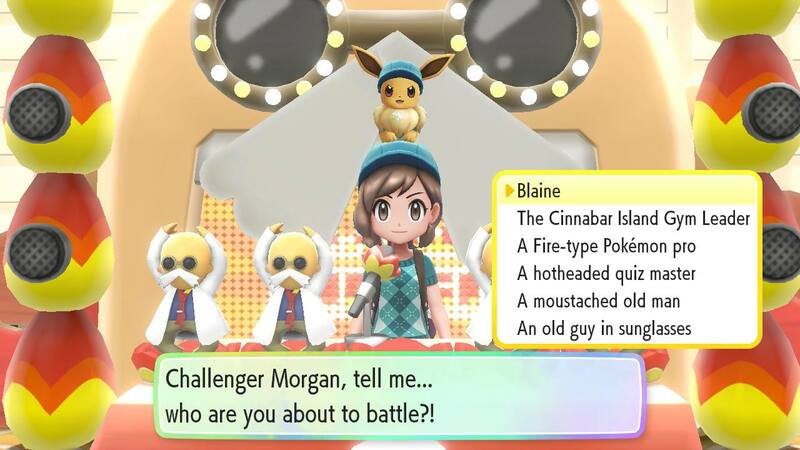 Blaine uses Fire type Pokemon, meaning that you’ll want to use Water or Ice type Pokemon in battle. Pokemon you can expect from Blaine include Magmar, Rapidash, Ninetails, and Arcanine. Once you’ve defeated Blaine, you’ll earn the seventh Gym Badge in Pokemon: Let’s Go. As an additional reward, Blaine gives you TM46 otherwise known as Fire Blast. So, were you able to answer all of Blaine’s trivia questions correctly? Let us know down in the comments below!